What defines Japanese photography? Is there a distinctive Japanese photographic aesthetic? 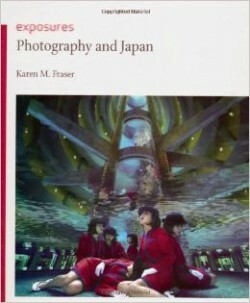 In Photography and Japan, Karen M. Fraser argues that the diversity of styles, subjects and functions of Japanese photography precludes easy categorization along nationalized lines. Rather, the development of photography within Japan is best understood by examining its close relationship with the country’s dramatic history. This book traces 150 years of photography, a period during which Japan has experienced some of the most significant events in modern history: a remarkable transformation from an isolated, feudal country into an industrialized, modern world power during the late nineteenth century, an equally striking rise and fall as an imperial power during the ﬁrst half of the twentieth century, and a miraculous economic recovery in the decades following the utter devastation of World War Two. The history of photography has paralleled these events, becoming inextricably linked with notions of modernity and cultural change from the time it first arrived in the mid-nineteenth century. The author considers this intertwined history by tracing the intersection of photog­raphy and social history, focusing on the role of the camera in documenting key cultural and political events and in exploring social responses to cultural change. Thematic chapters that focus on photography’s role in negotiating cultural identity, war photog­raphy and the documentation of urban life introduce many photographs that will be unfamiliar to Western viewers, and provide a broadened cultural context for more well-known images.